Family Program: Exploring Artism | Feb. 10, 10:30 a.m.-12 p.m. This is a free program for families with children ages 5-12 on the autism spectrum. Participants look at artwork in the Center’s galleries, followed by an activity in a museum classroom. While the needs of individuals with autism are considered in the design of this program, it is also intended to be fun for parents, siblings, caregivers, and other relatives too! Preregistration is required ycba.education@yale.edu or (203) 432 2858. Opening Conversation, The Paston Treasure: Microcosm of the Known World | Feb. 14, 5:30 p.m. In conjunction with the exhibition Feb. 15-May 27, a panel consisting of exhibition curators will discuss the exhibition, the painting, and the Paston family. This conversation will be followed by a special film preview of The Paston Treasure: A Painting Like No Other. This event will be live streamed. Family Day: Poets and Painters | Feb. 17, 10 a.m.-2 p.m. The Toni Awards: A Gala Celebrating The NHSO, Feb. 9, 7 p.m., Anthony’s Ocean View. 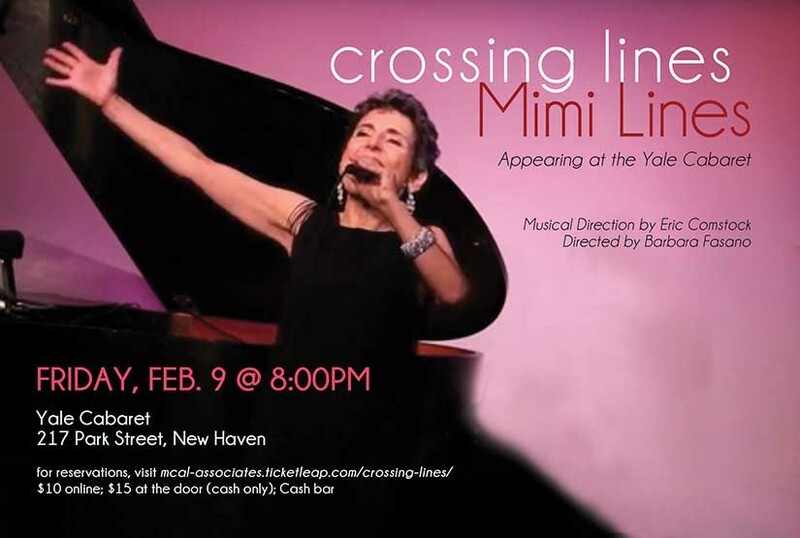 Crossing Lines, Mimi Lines, Feb. 9, 8 p.m., Yale Cabaret. Direct from two sold-out performances in Manhattan, a brand new Crossing Lines will have its Connecticut premiere at the Yale Cabaret! An evening of standards, surprises and stories from New Haven's own Mimi Lines. At least three local organizations (The Institute Library, the New Haven Museum, and Quinnipiac University) are taking note: February 12, 2018 is the 200th anniversary of Douglass’ birth (no one appears to know the exact date). Join the Institute Library for a joint birthday party with readings and discussion, as well as cake. Before meeting Abraham Lincoln, Frederick Douglass had vigorously, and impatiently challenged and distrusted the government’s commitment to what we, today, would call gradualism (slow change vs. immediate revolution). Both Douglass and Lincoln spoke in New Haven well before their fateful meetings. Come celebrate this local history downtown, half a block from the New Haven Green.